With over 25 years of electrical experience no job is too big or too small. We do new construction, remodels, and commercial. We are a A+ BBB Company. Bonded,Certified,Insured & Licensed with over 23 years experience. 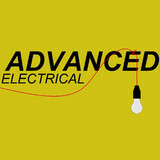 Advanced Electrical Company is a service electrical contractor in Birmingham, Alabama. We have over 35 years of experience in the industry, and we continue to stay on the forefront of the electrical industry through continuous education and training. We offer both commercial and residential electrical services to the Birmingham market, including but not limited to: Electrical Repairs - Do you have a few electrical outlets that don’t work or light switches that don’t turn on the lights you want them to turn on? These are the most common electrical repairs we perform on a weekly basis. No matter what the issue may be, we are well-equipped to repair the problems and let you enjoy your life in comfort again. Electrical Wiring - Your home or business is wired to provide power throughout the different parts of the building. If you have outdated aluminum wiring, it is important that it be replaced or corrected in order to avoid damage, shock, or even an electrical fire. If your wiring is already up to date, we can assist with adding new wiring to accommodate additional electrical components you want to add to your home or business. Electrical Panel Upgrades - Just like the wiring in your home or business, your electrical panel needs to be updated in order to keep you and your building safe from a potential disaster. The electrical panel is the main component of your electrical system, and if it is not in prime working order, can cause power failures or electrical fires. While a panel box replacement may be somewhat expensive, it will ensure that your electrical system will keep functioning properly and efficiently for years to come. Lighting - We are experts when it comes to installing and repairing your light fixtures and lighting systems. No matter what type of lighting you have or want, we can handle it, including accent lighting, general lighting, security lighting, exterior lighting, parking lot lighting and even simple task lighting. We’ll even replace all of the burnt out bulbs in your commercial space if you need us to. Don’t find yourself in the dark when you can rely on us to keep your lights in great shape. Our commitment to complete customer satisfaction, quality workmanship, and affordability really set us apart from the rest of the electrician companies in Birmingham. We travel all over the Birmingham area to perform electrical work on any component in your home or business. 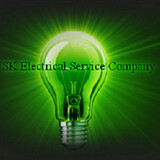 We are a small local company specializing in smaller electrical projects. Residential and commercial repairs, renovations and updates. We commonly repair electrical problems and come up with creative solutions to meet our clients needs. We care for your property as if it were our own. Founded in 1987, AUX Home Services is committed to providing superior heating, cooling, plumbing, and electrical services in Birmingham and throughout the surrounding areas. Whether you need AC installation in your new home, are looking for a reliable electrician to assist you with lighting design, or are in need of commercial plumbing services at your place of business, you can rely on the AUX Home Services team to get the job done quickly and efficiently. There’s no job too big or too small for their licensed and insured technicians. They’ll treat you and your property with respect, keeping their workspaces clean and offering their honest, professional recommendations. AUX Home Services offers dependability and peace of mind, thanks to their customer service satisfaction guarantee and extended warranties provided in writing. Plus, they price their services on the job itself, not the amount of time it takes to complete it, meaning they’re able to provide upfront pricing that won’t change—even if the project takes longer than expected. They even offer 24/7 emergency services for HVAC, plumbing, and electrical in Birmingham and beyond! Is your comfort at stake? Call AUX Home Services for fast assistance today! 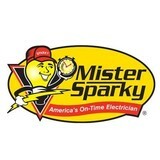 We are a full electrical service company, serving the Jefferson and Shelby County areas. We specialize in making sure you have a sound finished product, period. Power Up Electrical LLC is a full service electrical company that specializes in residential, commercial and industrial projects. Upgrades, new installations and repairs are our specialty. The owner is a master electrician with 20 years of experience. We are known for our honesty, competitive pricing, as well as acquiring all legal permits. Call us today! 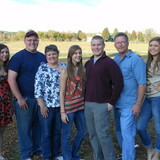 Phillip Sargent, the owner, is a State of Alabama licensed Master Electrical Contractor. We have been in business since 1994. Our service is provided with integrity. Experience includes residential service calls, new construction, commercial and residential remodels, restaurants, churches and industrial plants. Power Up Lighting & Electrical, LLC prides itself on being the go-to choice for clients looking for Electrician, Chandelier Installation and LED Lighting services. We are offer simple solutions for most situations. Get in touch with the professional Birmingham electricians at Armstrong Electrical Contractors for any of your residential and commercial electrical services. With over 50 years of combined experience, the team has successfully performed a variety of services ranging from small repairs to large electrical projects. Whether you are a homeowner or a manager of a large commercial space, feel free to reach out to the electrical experts with any concerns that you may have. By showing their care for your safety, they make themselves available 24 hours a day, 365 days a year in case emergency services are ever necessary. Free estimates are also provided over the phone when you call to request any service. Armstrong Electrical Contractors wants to solve all of your problems. Contact your local electrical specialists today! What do licensed Brook Highland electricians do? An electrical contractor plans, installs and repairs wiring in structures. He or she works closely with the home’s general contractor or remodeling contractor to determine the specific electrical needs for the project and to ensure that the wiring will meet Brook Highland, AL building codes. An electrical contractor’s job also includes installing and repairing fixtures, switches and other visible components of electrical systems. With today’s technological needs and advances, many electricians in Brook Highland, AL also are trained to install fiber optic and coaxial cables for electronic equipment. Certain electrical companies may design and install data systems and wire for security features such as alarms too. Some Brook Highland electrical contractors specialize in specific areas, such as HVAC, low-voltage appliances and systems and more, so be sure to ask about their training to see if it fits your project needs. Find a certified Brook Highland electrician on Houzz. Narrow your search in the Professionals section of the website to Brook Highland, AL electrical contractors. Here are some related professionals and vendors to complement the work of electricians: Lighting Showrooms & Sales, General Contractors, Solar Energy Contractors, Heating & Cooling Sales & Repair.